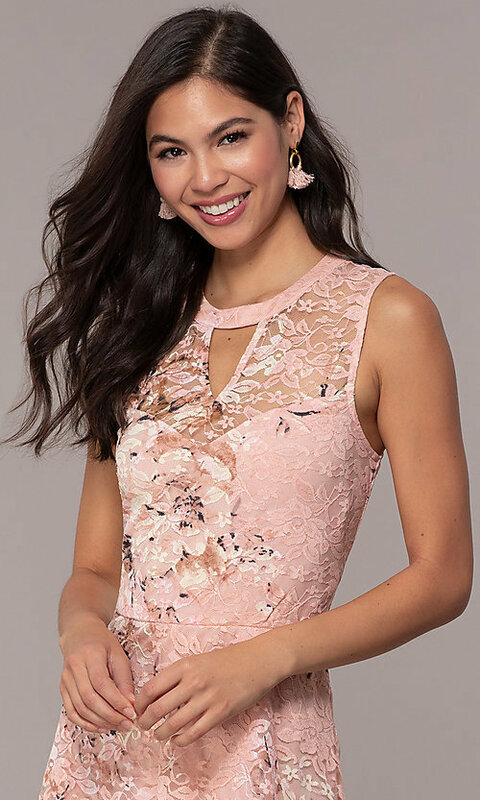 Look cute as can be wearing this floral-print lace party dress for graduation 2019, a semi-formal with friends, or a rehearsal dinner. The semi-formal dress has an illusion sweetheart lining visible through a sheer lace panel that creates a high neckline. 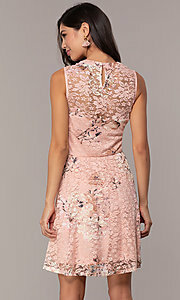 Another sheer lace panel on the cute party dress forms a trendy illusion open-back detail. A flouncy skirt and keyhole cut outs on the front and back of the grad party dress complete the look. 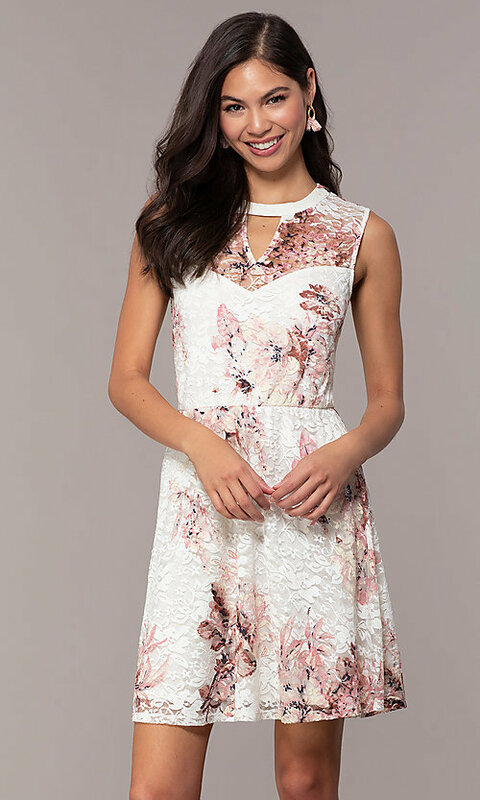 Be stylish at an upcoming semi-formal occasion in this floral-print lace party dress for graduation.